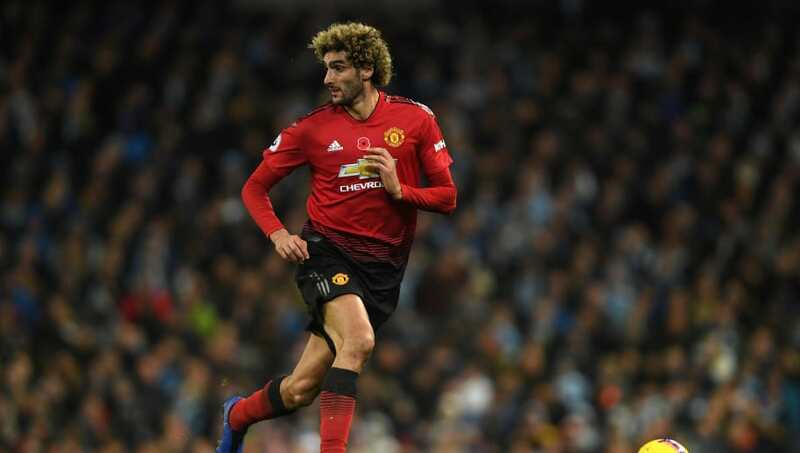 ​Manchester United midfielder Marouane Fellaini has insisted that cross-city rivals Manchester City are not out of his side's reach, despite the 12 point gap between the teams. United lost to City just before the international break, going down 3-1 at the Etihad with both Paul Pogba and Romelu Lukaku absent through injury, and now sit eighth in the Premier League table with the worst defensive record outside the bottom six. However, ​Fellaini insisted to ​Sky Sports that the result earlier in the month was not an indicator of the growing gulf between the two clubs, saying: "I don't think so. I remember when I arrived in England it was a top four, now it is a top six, so every year it is more difficult. "Next season we will see how it changes and in two and three years I think every year it is more difficult, the intensity is higher, so that's why the Premier League is attractive. ​Manchester City are strong, but I think they will lose. Ok, they are very good and they have good players but it's possible to beat them. We lost, but we have the second game at Old Trafford and we will see." City are two points clear of ​Liverpool at the top of the table, with the leading pair and third placed ​Chelsea all unbeaten – in stark contrast to ​United, who have tasted defeat four times in the league alone since the start of the campaign. 🗣 "I don't think so." Fellaini admitted that, despite his insistence that United could challenge Pep Guardiola's men, City are a good side, saying: "They are very confident, all of them, they play good football, they play attacking football and they have a good dynamic."